This began as a Facebook game, some friends posting odd antique photographs on my Timeline and I supplying the "history" behind them. Because some of my non-Facebook using acquaintances have asked me to share these stories, I decided to add them as a page to my blog. 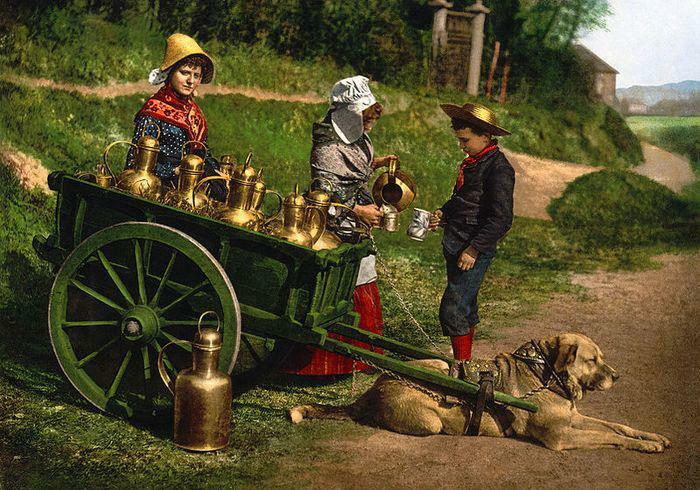 The Northern Dorlvitch Milchhund was not only bred for its strength and stamina, but also for its rich, creamy milk. Up through the early 1900s, it was not unusual to see Dorlvitch milk sellers in their colorful native costumes on country roads, offering thirsty travelers cups of delicious Milchhund milk from a simple cart, often pulled by the same Milchhund who had provided the dairy delights. The coming of pasteurization and the introduction of the cow to Dorlvitch lead to the decline of the the magnificent Milchhund. Spiderman, introduced by Marvel Comics in 1962, portrayed an insecure teenage boy who gains super powers after being bitten by a radioactive spider. What many comic book readers do not know is that Spiderman’s writer and editor, Stan Lee is said to have been inspired to create the character after viewing a rare 1923 silent film directed by D. W. Griffith called “Spidergirls.” After forming United Artists, Griffith decided to follow the moral line of his epic “Intolerance,” by creating a series of short films in which two sisters, after being bitten by a magical spider, acquire special powers, which they use to battle evil. 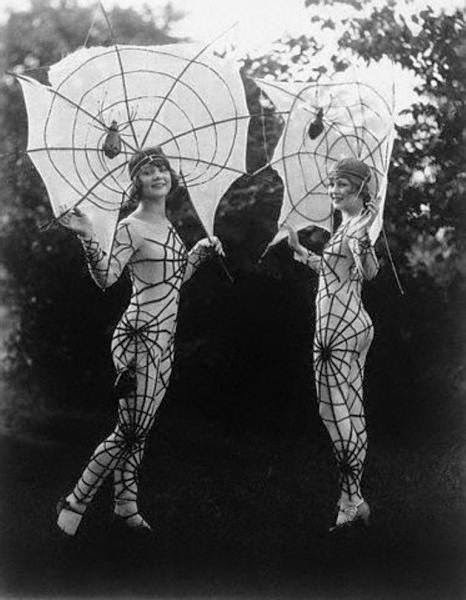 Originally dubbed the Arachne Sisters, the crime-fighting duo was rechristened “Spidergirls.” The sisters, Anna and Rae, were played by the real sisters, Margret and Martha Allan. Griffith had originally wanted to cast Lillian and Dorothy Gish, but the Gish sisters suffered from such severe arachnophobia, they both fainted upon being shown their Spidergirls costumes, formfitting tights adorned with embroidered spiderwebs and matching headdresses, each with a large life-like spider. This is a rare photograph of the Allan sisters in their Spidergirls costumes. Around evil men who would deceive. Lookout, here come the Spidergirls! Griffith intended that the audience, accompanied by an organ or piano, would sing the catchy ballad at the end of each Spidergirls serial. Unfortunately, following a string of box-office failures, Griffith was forced out of United Artists just after the first Spidergirls picture was completed, and the film was never released. In 1961, the can containing the film was discovered in an old file cabinet. Although the film was badly deteriorated, enough of it was salvaged that copies could be made and shared among early silent film aficionados. It is believed Lee saw a copy of the film at a friend’s “Silent Movie Night” party later that year. Alejandra "La Serpiente" Inglesias was a younger cousin of Caroline "La Belle" Otero, the beautiful Spanish dancer and grand courtesan who starred in Les Folies Begere in the early 1900s. 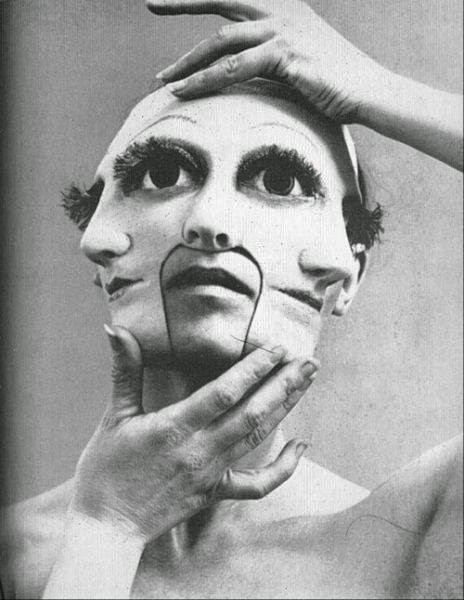 Always one step behind her more famous cousin, La Serpiente followed the same path, moving from patron to patron until she too reached Paris and the Folies stage. While La Belle was renowned for her ample bosom and intense dark eyes, La Serpiente emphasized her slim, sinuous figure and astounding flexibility. If La Belle portrayed herself as a fiery Gypsy dancer, La Serpiente played an exotic dancer of the Middle East, undulating across the Folies stage as she slowly cast off her diaphanous veils. A bitter competition arose between the two cousins, La Belle constantly flaunting her greater fame and wealthier lovers, as well as publicly mocking La Serpiente’s less endowed figure. Goaded by jealousy, in 1908, La Serpiente engaged the services of an early and shadowy French plastic surgeon who claimed to have secretly worked on many of the famous beauties of the era, demanding that he give her the perfect “S-shaped” figure. Unfortunately, because of a miscommunication between La Serpiente, who spoke almost no French, and the doctor, who knew no Spanish, he literally gave her a figure curved like the letter “S." Aghast at her freakish figure, and fearing the cruel mockery of La Belle and her entourage, La Serpiente fled Paris to the United States, taking on a new name, Alice Engle. She found soon found employment at Joseph Franlinger’s salt water taffy concession on the Atlantic City boardwalk, demonstrating to mesmerized crowds with her own supple body how the tasty taffy was stretched. Franlinger even pictured her on a deluxe candy box, and these rare boxes are highly sought after collectors today. Known as the “Sweetest Treat on the Boardwalk,” Alice took a number of wealthy lovers, but tragically expired at the age of 29 when, at a raucous late-night dinner party, she accepted the bet of a diamond necklace by visiting German diplomat that she tie herself into his favorite treat, a soft pretzel. Although she won the bet, Alice could not untie herself and died on the operating table. Franlinger’s gave her a splendid funeral, burying her in a giant replica of their salt water taffy box, with the hard-won necklace adorning her slender neck. 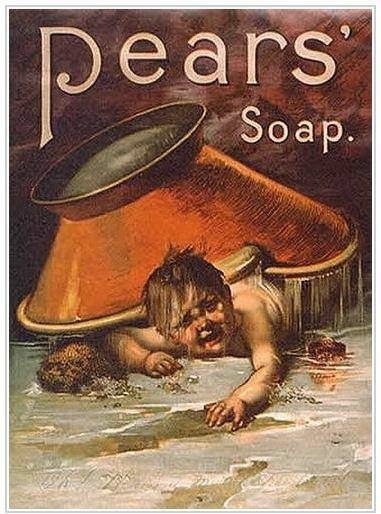 Upon reaching majority and receiving a small annual annuity, Mitchner bought a tiny isolated cottage deep in the Welsh countryside and pondered how to break mankind from its “unnatural and health-destroying obsession with bathing with soap and water.” “Soap,” Mitchner argued, “is not found in nature, but must be concocted from a disgusting and toxic witch’s brew of ash, animal fat, and lye.” He also asserted that in its natural state, mankind avoided immersing itself in water which “was the home to many evil, destructive, and hideous creatures, such as snakes, crocodiles, leeches, and sharks,” as well as “the source of many pestilential diseases, such as cholera and the painful and embarrassing looseness of the bowels.” One day, watching his cat bathe itself in a patch of sunlight, Mitchner discovered the answer to this dilemma. “How wise are our feline friends,” Mitchner wrote, “cleansing themselves with their flexible tongues with nothing more their own natural and healthful saliva, keeping their fur not only clean and fluffy, but avoiding the deadly pitfall of watery bathing.” He penned his book on lengualaverism, advocating that humans wash themselves with only their tongues and saliva. Acknowledging that humans lacked the rough tongue of cats, Mitchner created a special wash mitt to fit over the human tongue. Also, because humans “are unfortunately not currently endowed by their Creator with the amazing flexibility of the feline,” he recommended that legualaverians engage in group bathing “to reach those difficult and intimate areas that even the most talented human contortionist cannot probe with his own tongue.” Mitchner thought that over time, as legualaverians strove to reach various parts of their bodies with their own tongues, they would become more flexible and would pass this flexibility on to their children until “any human child could readily compete with a kitten in its contortions.” Lengualaverism had a brief flowering in the late 1910s, though most historians think it was mainly due to the group bathing bathhouses funded by Mitchner, which soon became the scenes of raucous orgies, as the innocent Mitchner himself discovered when he visited one in London. Shocked and disheartened, Mitchner closed all the bathhouses, retreated to his Welsh cottage, and cut off all contact with society. In 1921, a shepherd seeking shelter from a sudden storm found Mitchner’s raw and half-eaten naked body lying on the cottage floor. From his diaries police discovered Mitchner had been trying to train the many feral cats in the neighborhood to bathe him by rubbing himself with sardine oil. Jeanne and Jeannine Lambert were twin sisters born in 1897 to a well-off middle class family in the suburbs of Paris. 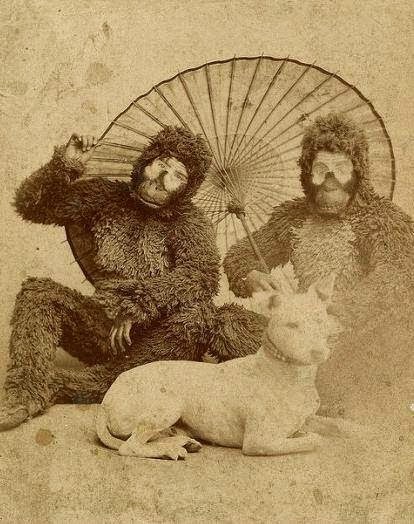 Although they had rather simian facial features, they were charming girls with bright blue eyes and blonde ringlets. Cheerful and outgoing, they were favorites at their Catholic girls' school. The sisters remember their childhood as being exceptionally happy. However, as they reached puberty, they began to grow thick hair all over their faces and bodies. Their parents, thinking to protect their beloved daughters from cruel stares and mockery, retired to an isolated cottage in the French countryside. However, such a secluded life was not for the vivacious sisters, who ran off to join a local carnival. Well-educated and talented, Jeanne was a skilled pianist and Jeannine was a trained lyric soprano, instead of simply sitting on display, they thrilled audiences with their renditions of selections from opera and popular comic ditties. They closed their act with a rousing "Marseille" that brought cheering crowds to their feet. Such talent could not stay hidden in a small provincial carnival, and soon the sisters were traveling the world, to great acclaim and fortune. The resilient sisters quickly adapted to their fate, noting that their full shiny pelts saved them from the expense of clothing or jewels. 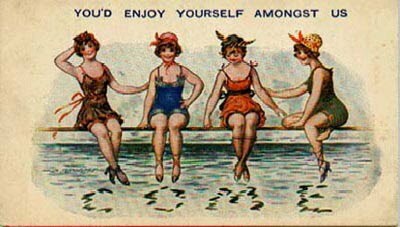 They especially enjoyed going to the beach, where they could skinnydip without fear of arrest or sunburn. Here they are seen enjoying the seaside with Jo-Jo, the Dog-Faced (and Dog-Bodied) Boy, whom they adopted during their travels. Jo-Jo was actually a talking dog, but when the public asserted his talent was nothing more than clever venquilitrism, he instead gained success by posing as a boy who resembled a dog. By 1925, the sisters were appearing at the famed Folies Bergere in Paris, where they performed with Josephine Baker during her famed "Danse Sauvage," in which she wore only a skirt made out of bananas. The sisters would swing down to the stage from vines and pluck bananas off Baker's skirt one by one, much to the amusement of the audience (and the appreciation of the male component). However, at the peak of their career, the sisters suddenly developed severe alopecia, losing their lush pelts. Using the vast wealth they accumulated during their career, the sisters, now reconciled with their family, bought a small vineyard in Aix-en-Provence and moved there with their parents. Both sisters married local men and their descendants still produce the highly acclaimed "Monkeyshines" wine, a slightly sweet fruity red wine with undertones of banana. Josep, Jordi, and Joachim Abela i Batista, proponents of the short-lived humanisme architectural movement, were triplets born in the Carmel district of Barcelona in 1890 to a family of bakers. The family’s happiness in welcoming the birth of three sons was somewhat dimmed by the fact that Jordi was Joachim’s parasitic twin, with a fully developed body, but his head buried deep in Joachim’s right thigh. The stress on Joachim’s system of supporting both his and Jordi’s bodies left him a weak and sickly child, doctors warning the boys’ parents that any attempt to separate the twins would not only surely kill Jordi, but also would likely result in Joachim’s death as well. The family began a regimen of exercise and diet to strengthen Joachim and by the time the boys reached the age of five, he was healthy and strong enough to undergo surgery. However, the precocious Joachim objected strenuously to the removal of Jordi, asserting that Jordi was not merely a parasite, but was a sentient and intelligent being. Both Joachim and Josep claimed to be able to communicate with Jordi, whom they treated as a beloved brother. The boys’ parents relented, and decided that instead of protecting and coddling the boys, they would be given as normal a life as possible. They were bright, sensitive, and artistic children, and although somewhat shy, soon became favorites in their neighborhood. It was not uncommon to see the trio, Jordi rolling between Josep and Joachim on a special cart, on their way to and from school or playing in the neighborhood. The boys were popular among their schoolmates, often inviting friends to join them on Jordi’s cart as they rolled down the Carmel’s many steep streets. Two events guided their professional choice. One day in school, Josep saw a picture of an architect working at a stand-up desk. He showed the picture to Joachim, asserting that this would be the perfect job for them when they grew up, as they would work standing side by side, while Jordi could rest comfortably under the desk. The second was the construction of Parc Guell, designed by Antoni Gaudi, near their home. Fascinated by the construction of the park’s curving structures, unlike any they had seen before, the trio spent many hours watching the workmen and became friends with the gentle Gaudi, who took a special interest in the three boys, patiently explaining his techniques. They later entered the Barcelona Higher School of Architecture, graduating with honors in 1914, and immersed themselves in the Catalan modernisme movement, working under their beloved Gaudi on the Sagrada Familia. Inspired by Gaudi’s use of strings and suspended weights to design arches, the brothers discovered that they could link their own bodies in complex organic forms. It is said that many of the curving abstract shapes of the interior were based on the brothers’ elaborate contortions. The trio could hold a single pose for several hours, and Gaudi often had them pose on-site. After the death of Gaudi in 1926, the brothers decided to move the New York City, to bring their own unique school of architecture, which they dubbed humanisme, to the United States. The brothers argued that buildings should reflect the organic nature of the people they would house and therefore must be based on structures found only in nature. Because buildings were constructed for people, the brothers asserted that logically architecture must be built around the human form. Initially, there was some interest in their unique style. In this rare photograph, the brothers are seen designing a cupola for a New York City skyscraper. However, the beginnings of the Art Deco movement, with its emphasis on technology and clean, unadorned lines, soon overshadowed the brothers. Also, because there were only three of them, this limited the size and scope of their designs. However, Frank Lloyd Wright was intrigued by the brothers’ emphasis on livable scale, organic design, and creating communication between a building’s interior and the outdoors, and invited them to join his firm in Chicago. The trio settled into a quiet life, and were successful enough to bring their parents over, setting them up in a small bakery. Suddenly, Joachim developed a huge, painful swelling where Jordi’s body joined his thigh. Fearful of the worst, the brothers sought out as specialist, who informed them that the late-blooming Jordi had grown a fully-developed head. Surgery successfully freed Jordi, who joined their parents in the bakery, where he became famous for his unusual soaring cakes, with their flowing arches and swirling spires. Sensing a new outlet for their creativity, Joachim and Joseph joined their brother, expanding into chocolates and candy. Triple-J Confectionary still exists today and ironically supplies most of the specially-shaped chocolates and candies sold as souvenirs at Casa Mila, Parc Guell, and other historical sites throughout Barcelona. 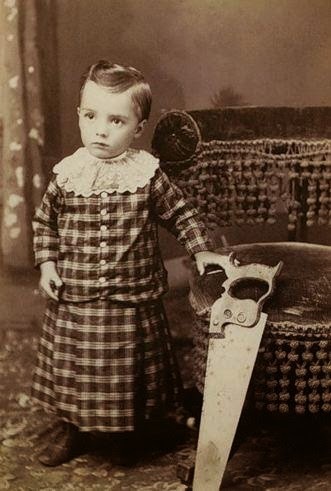 Miss Bertha Mae Madison, a child prodigy of the musical saw, enthralled Victorian audiences with her haunting and beautiful renderings of classical tunes, until her career was unfortunately and literally cut short at her concert in the Berlin Wintergarten in 1897. However, Miss Madison soon found gainful employment with the renowned magician, the Magnificent Mortimer, as the upper portion of the lady in his world-famous "sawing the woman in half" illusion. This rare vintage poster shows Bertha Mae, following her tragic musical saw accident, in her new career with the Magnificent Mortimer in his famed "sawing the lady in half" illusion. The very attractive, if truncated, Bertha Mae was the upper portion of the lady, while the lower portion was comprised of two cleverly disguised ectomorphic dwarves, Hans and Gunther Schmidt. Identical twins, the Schmidt brothers later gained fame and fortune with P.T. Barnum under the stage name, "String and Bean." 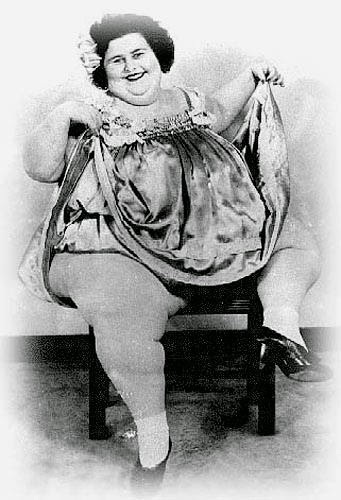 They were forced into early retirement by scandal after the show's fat lady, Agnes "One Ton of Fun" Jenkins, gave birth to a child out of wedlock and revealed she was having simultaneous affairs with both brothers. When questioned by the press, an exasperated Hans exclaimed: "Vat is der big deal? Der vas enough for both of us!" This early promotion picture shows the frolicsome "fat lady" Agnes "One Ton of Fun" Jenkins before she was forced to leave P.T Barnum's show after having a simultaneous affair with the Schmidt brothers and giving birth out of wedlock to her daughter, "Hel-Ga." The unusual spelling of Hel-Ga’s name is thought to be in tribute to one of her two possible fathers, Hans and Gunther. Both Hans and Gunther offered to make an "honest woman" of Agnes and quarreled bitterly over which one would claim her hand. Rather than be the cause of division between brothers, Agnes struck off on her own. She had a map of the entire globe tattooed on her body and performed in various burlesque shows as "Glorious Gaia." Agnes became a star of the early Ziegfeld Follies, where, posed on a rotating platform with colored lights playing over her unclad body, she sang "Wouldn't You Like to Take a Little Trip Around the World with Me?" One night, Duncan Nelson Rand, grand-nephew of William Rand and heir to the Rand McNally fortune, saw Agnes on stage and fell passionately in love with her. Although Agnes was at first reluctant to give up show business, she was won over by Duncan's ardent pleas and the need to give her growing daughter a stable home. The happy couple honeymooned in the Netherlands. One night a tremendous storm tore a gaping hole in one of the major dikes and Agnes bravely threw herself onto the breach, stopping the surging waters and saving thousands of lives, though sadly at the loss of her own. She was posthumously awarded the Golden Order of the Tulip, the highest honor that can be bestowed on a non-Dutch citizen and, every year, on the anniversary of her selfless heroism, Dutch children receive special gifts of Gouda cheese molded in her likeness. The heartbroken Duncan adopted the orphaned Hel-Ga, loving and raising her as his own daughter. 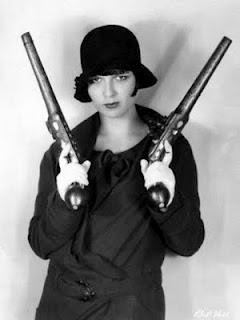 However, the circumstances of Hel-Ga’s birth lead to her being shunned by high society, and the lonely girl spent hours on the Rand’s private gun range, shooting at targets she constructed out of the newspaper society pages. Hel-Ga became an excellent markswoman and having her mother’s brave and adventuresome spirit, she traveled to Washington D.C. to offer her skills to her country. There she met a young J. Edgar Hoover and they became close friends, with the beautiful Hel-Ga giving Edgar makeup tips and telling him he could never go wrong with a basic black dress and pearls. When Edgar was appointed head of the Bureau of Investigation in 1924, he hired Hel-Ga as a special agent. This picture was taken shortly after Hel-Ga joined the bureau. Known as the “G-Man with the Gorgeous Gams,” Hel-Ga used her brilliant mind, peerless marksmanship, and feminine wiles to fight crime. At the peak of her career, Duncan fell seriously ill with a lingering and rare form of Dutch elm disease he had contracted on his honeymoon, and Hel-Ga resigned to be by his side. Duncan died, leaving Hel-Ga the sole heir to his vast fortune. Part IV: At Long Last, Love! Utterly alone, Hel-Ga decided to locate Hans and Gunther. She found them in retirement in Florida, but Hel-Ga bore no physical resemblance to either of her purported biological fathers. Hans tearfully informed Hel-Ga that instead she was the spitting image of any of the handsome Five Flying Fiabacchi Brothers, who had been fellow performers with Agnes and the Schmidts. Determined to solve the mystery of her paternity, Hel-Ga used her detective skills and wealth to locate the Fiabacchis. She discovered that two of the Flying Fiabacchi Brothers were actually Fiabacchi sisters and a third was a cleverly disguised gibbon. 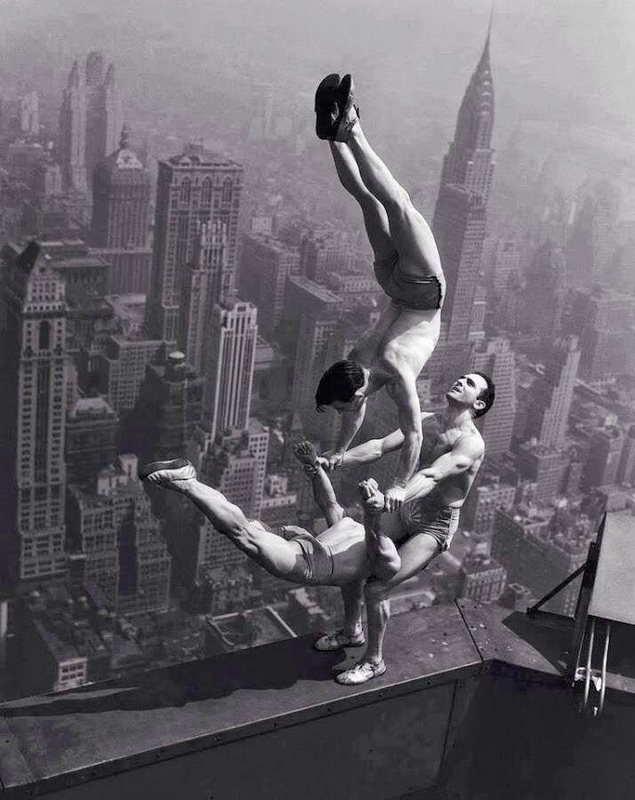 The two actual Fiabacchi brothers had died years before in a freak accident when the Human Cannonball detonated prematurely during their trapeze performance. 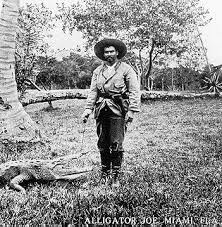 Although Hel-Ga did not find her father, she found true love with Ernesto "Joe" Aguilar, a prominent alligator famer in Salt Flats, Florida. They had no children during their long, happy marriage, but raised many alligators. Hel-Ga gained fame as an alligator wrestler, using the judo moves she had learned as a G-Man to throw alligators as high as 20 feet in the air. She often rode in a cart pulled by her favorite alligator, Queenie. Hel-Ga died at the age of 101 and is buried in Salt Flats between her beloved Ernesto and Queenie. Rare photograph of Ernesto posing with Queenie.